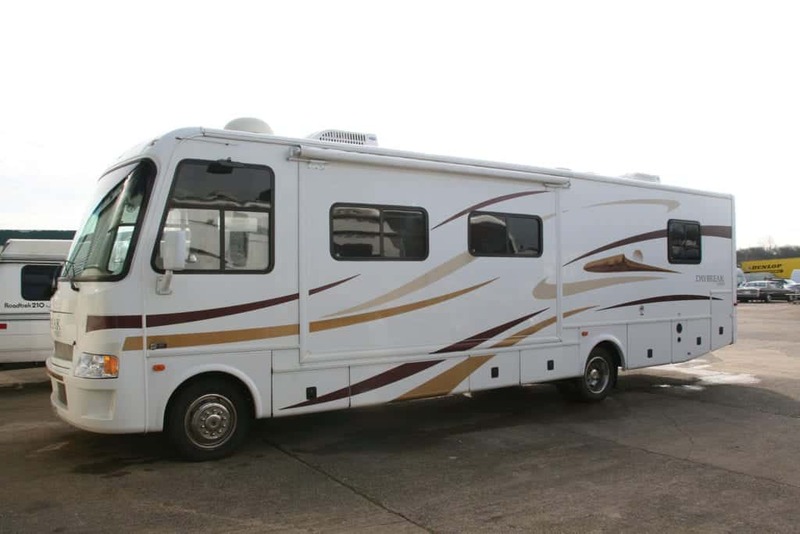 So you have now decided to buy an American RV motorhome, what is the next step you should take? Your decision should be based on what you will be using your new purchase for. Will you be using it for weekends away in the UK? Maybe you will be using it for a base when you go to a motor vehicle race meeting? Could your intentions be to tow a horse trailer with it and use it for accommodation at your equestrian event? Would you want to live in it whilst towing Europe? All of these proposals could require completely different approaches. What you will firstly need to do is try and work out what you require, this will help you narrow down your search field. We will take the first proposal to start with and analyse it. First of all I think you need a long American RV motorhome, maybe you could start looking at a ‘C’ class motorhome. 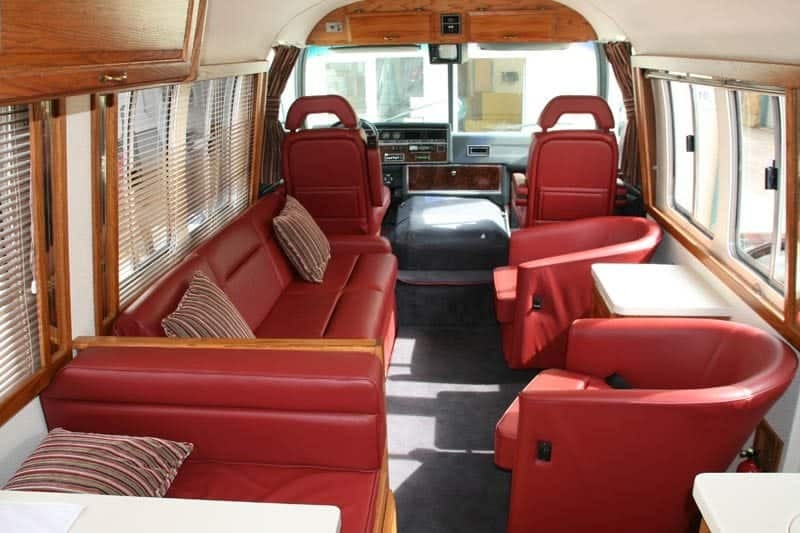 If you are thinking of touring Europe then you might consider an ‘A’ class, this has more internal space and it’s a little longer. However if the intention is to live in it, use it at motor racing events, or to tow your horse trailer a rear engine pusher could be considered. All of these options need to be explored before you make your final decision. Everyone is different and you need to narrow the options down yourself. When you have a good idea of your intentions then you could contact me to talk through your ideas. Use forums as a guide, but try to remember that everyone who owns an RV motorhome seems to think they are an expert in the field of American RV motorhomes. What my aim in your buying process will be is to make sure the vehicle you choose is at the best price and free from any service defects. I will inspect the vehicle for you at their premises and give you a full written report. 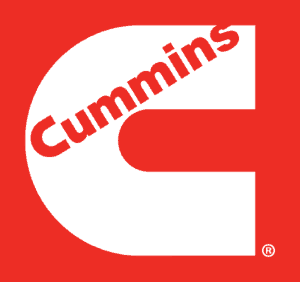 First of all you will be buying into my knowledge and experience that I have gained from the previous 20 years with American RV motorhomes, along with 40+ years in the motor trade. Once you become an American motorhome owner I hope you will join the many of our long term customers. 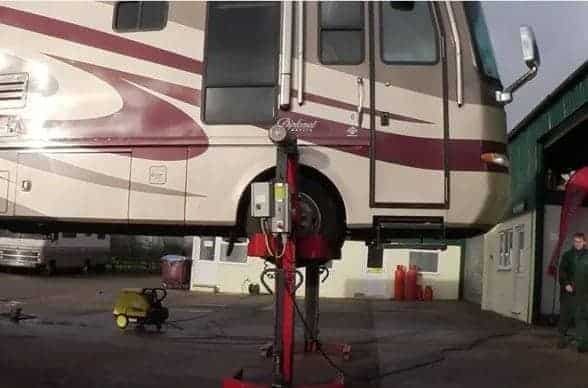 One of the worst parts of owning LAS motorhomes is to present a new customer who had just made their first purchase with a large expensive defect report. A lot of what I come across can be avoided with one of my on-site inspections. What you need to remember is that you need to budget for a service as well as a few personalised extras. The main aim is to avoid dangerous defects, to give you an idea of what some people are capable of hiding I have complied a few examples. 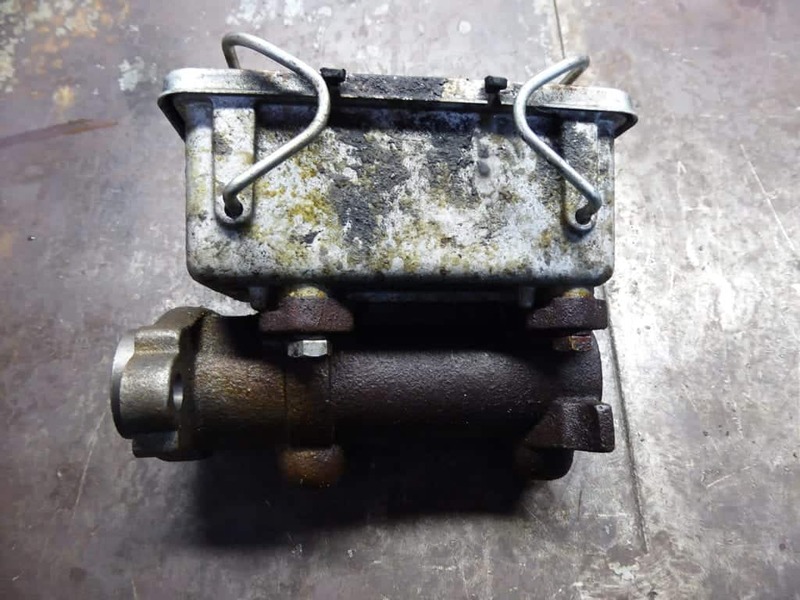 A leaking master cylinder, this on its own I would not really consider dangerous but the vehicle had a fresh MOT. 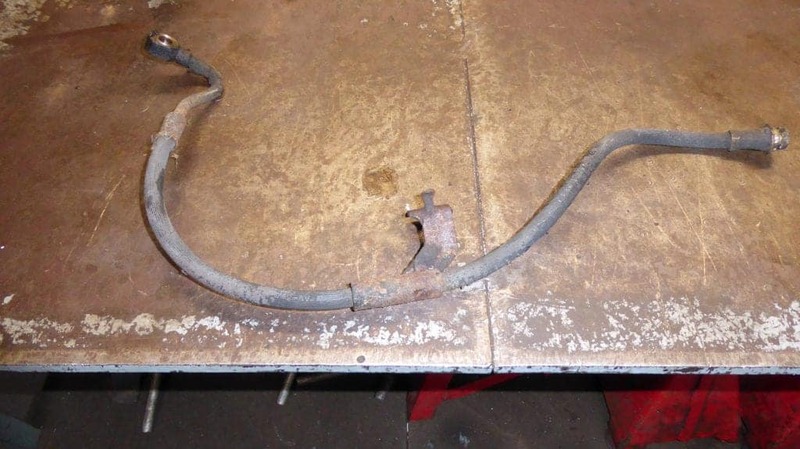 This image is a perished front brake pipe, if I had been inspecting the vehicle I would have asked questions about service history and MOT advisories. 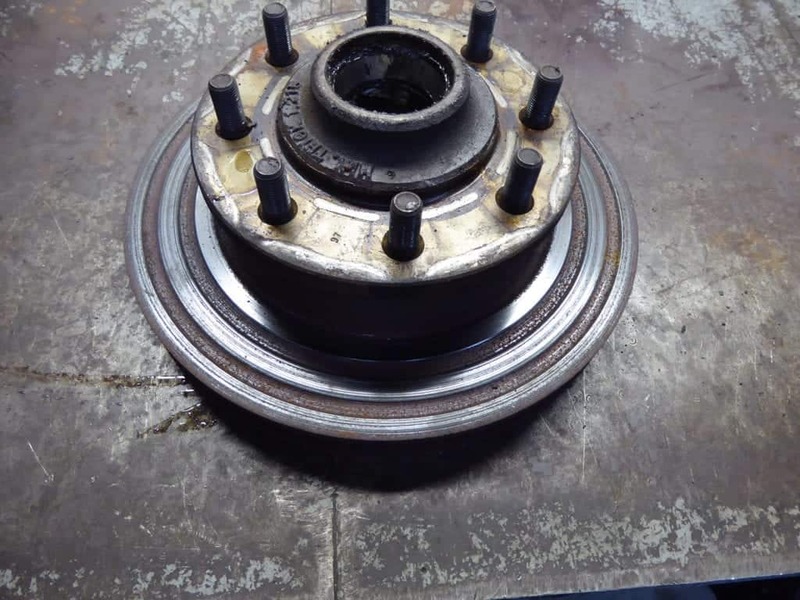 Below we have two images of the front brake disc, I do not know how anyone could sell a vehicle knowing the brakes were in this condition. This vehicle could have only had 50% of its breaking capability on the front brakes. 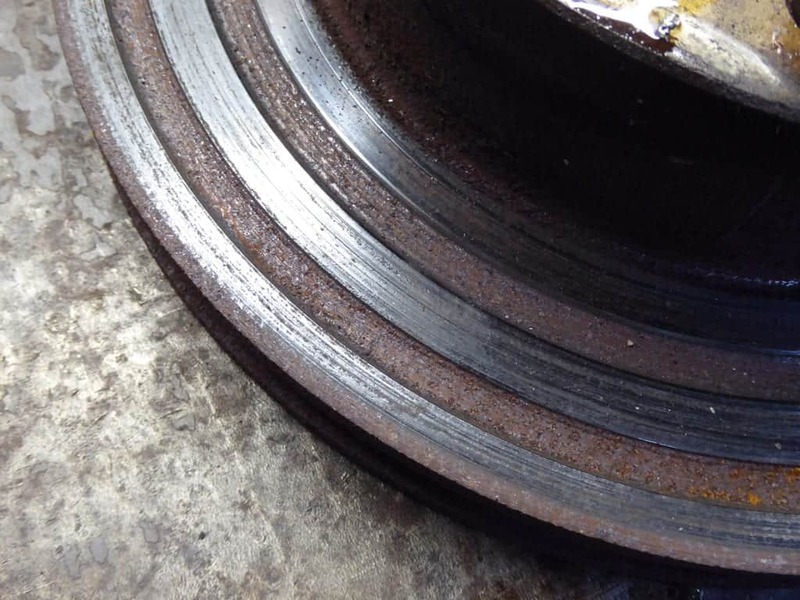 These brake pads were paired up to the badly damaged brake discs. 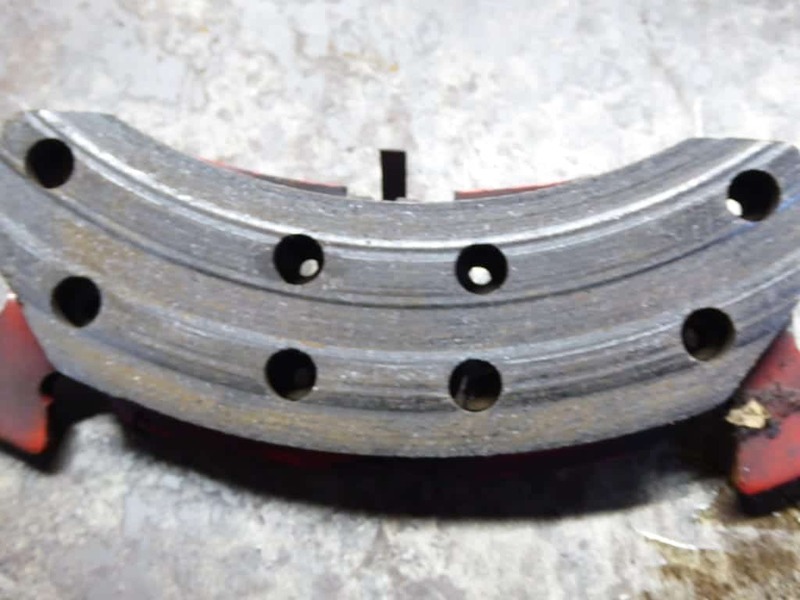 If you look closely you can see that the raised section on the brake pad has not yet touched the brake disc. 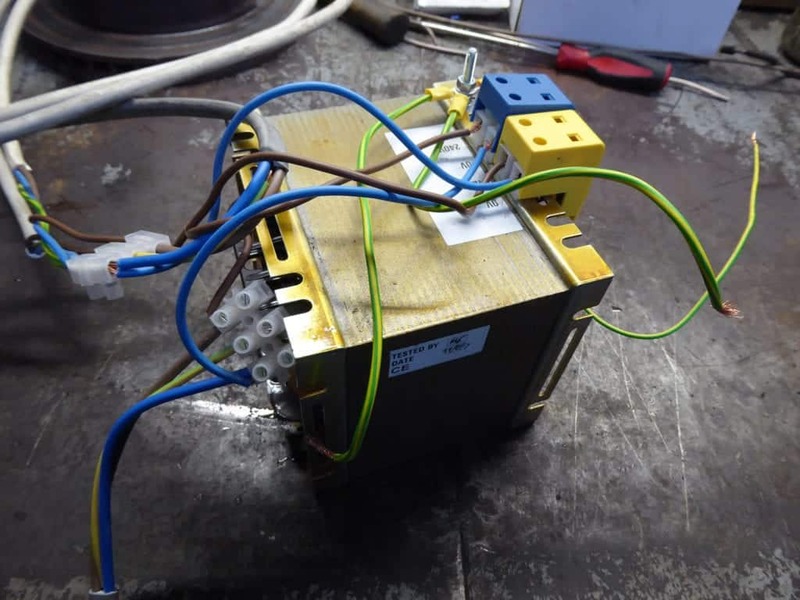 This transformer was found placed behind an internal lower door. If someone had put their hand in the cupboard not realising this they would have been electrocuted. The image below shows a generator to shore line change over switch, what happened here was the cable connecting the generator (7.5kw) was connected to the far left post. 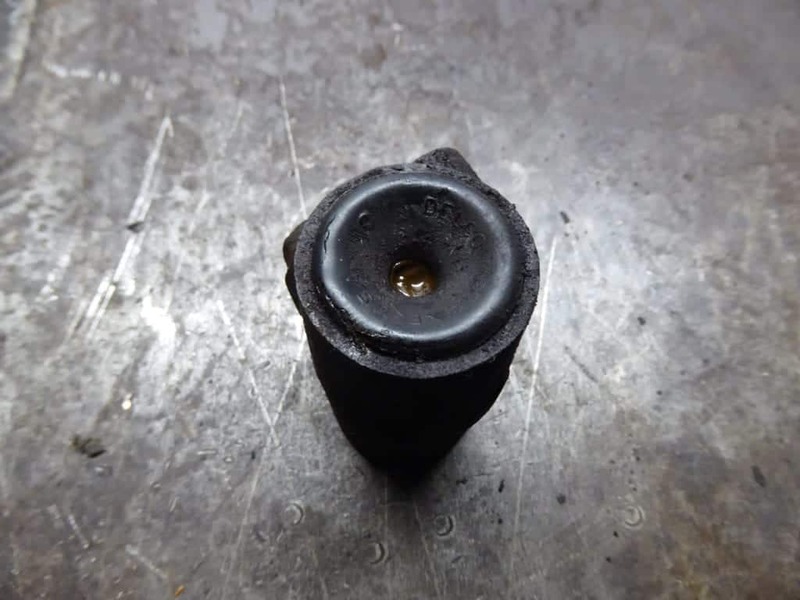 The cable used to connect the generator to the switch was 2.5mm in diameter which under normal circumstances would carry about 25 amps. 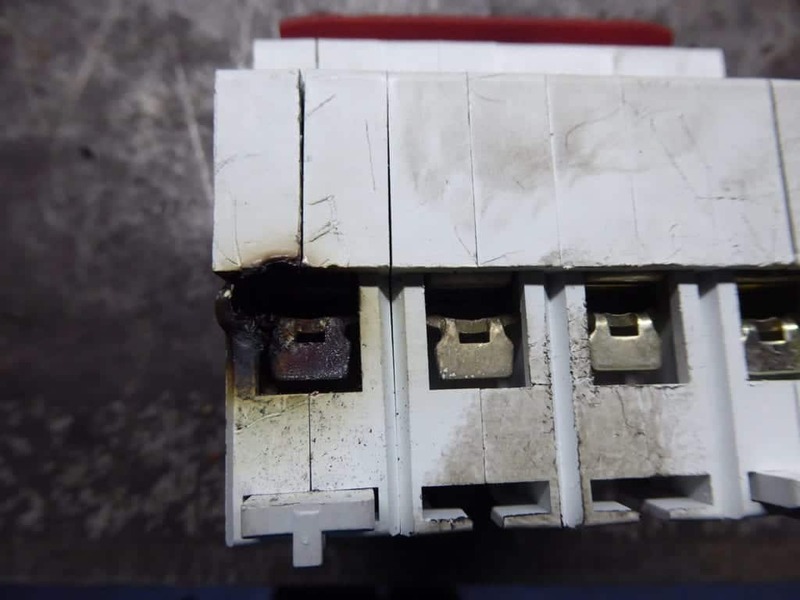 The generator was rated at 110 volts so 7.5 kw at 110 volts would be around 68 amps, no wonder the cable got hot! This could have potentially of caught fire. 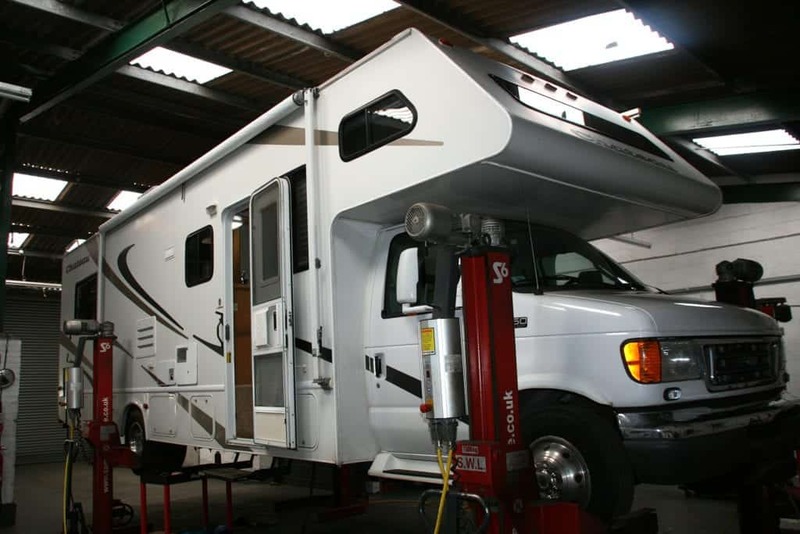 What you must remember is that I cannot start taking someone’s motorhome apart on their drive when I do my inspection, this means some things can go undetected as can be seen in the two pictures below. 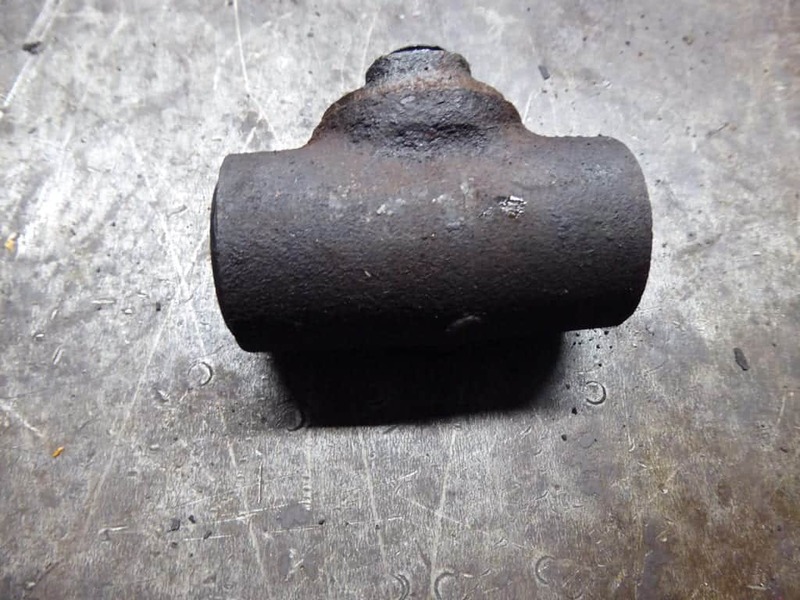 This is a rear wheel cylinder which is just starting to leak, without removing the wheel drum you would never detect it. 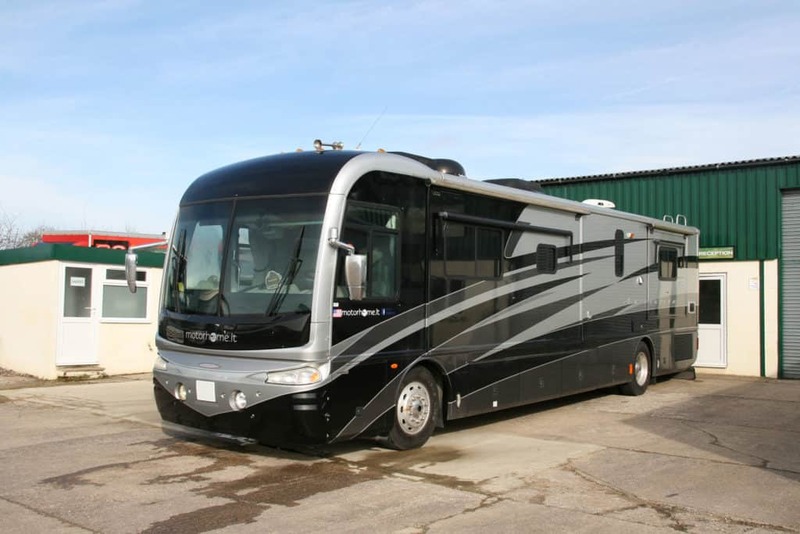 If you are serious about us inspecting an American RV for you then give me a call on 01604 861999 and we can run through with you the good and bad points on the model that you have chosen.